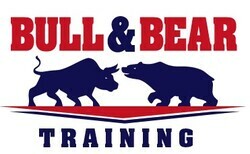 Bull & Bear Training Company is being used by individuals studying for all stockbroker licensing exams administered by FINRA (securities), NFA (commodities/futures), and NASAA (state securities/investment adviser regulation), as well as to fulfill the FINRA-imposed continuing education requirements. The SIE (Securities Industry Essentials) Exam content is covered, too - and note, there is a Quick SIE available (like Cliff Notes) - email for details! Contact Pete Gibowicz to determine if you and/or your firm would benefit from the receipt of unique, quick, and easy training for your registered personnel and aspirants. Note, I "do" more than just training - I create workbooks that are designed to make difficult to understand materials easy to go through, with representative questions on the content being asked on the actual exams. I always argue - you can memorize content, but you would absolutely FAIL the exam(s) if you had no clue as to how they could ask questions on that content. Training can be conducted in-person, but mostly “virtually” via GoToMeeting or WebEx. Click the text for upcoming live virtual training classes. One--on-one training can also be conducted at more convenient times (evenings/weekends/early mornings), especially for those who cannot study during "regular" working hours (which are MOST people). Pete created the "Quick" books and no other securities training school has these "Cliff-Note"-like materials to aid in your passing the securities exams "the first time around". Note that these are NOT random, index or flash cards. These are complete, continuously updated, explained bullet points of the entire content that is currently being tested on these licensing exams. The Quick books are available for the following securities exams: SIE, #3, #6, #7, #9/#10, #24, #65, and #66. Click on the Button to hear about the company.